We’ll also have co-trainers from the Drawing Change team and guest speakers to share their experiences. Last year we held a talking circle about Truth and Reconciliation led by Indigenous graphic recorders and the 2019 trainings will also feature these teachings. MICHELLE BUCHHOLZ, GRAPHIC RECORDER, ON THE 2017 – 2019 TRAINING TEAM. THANK YOU! 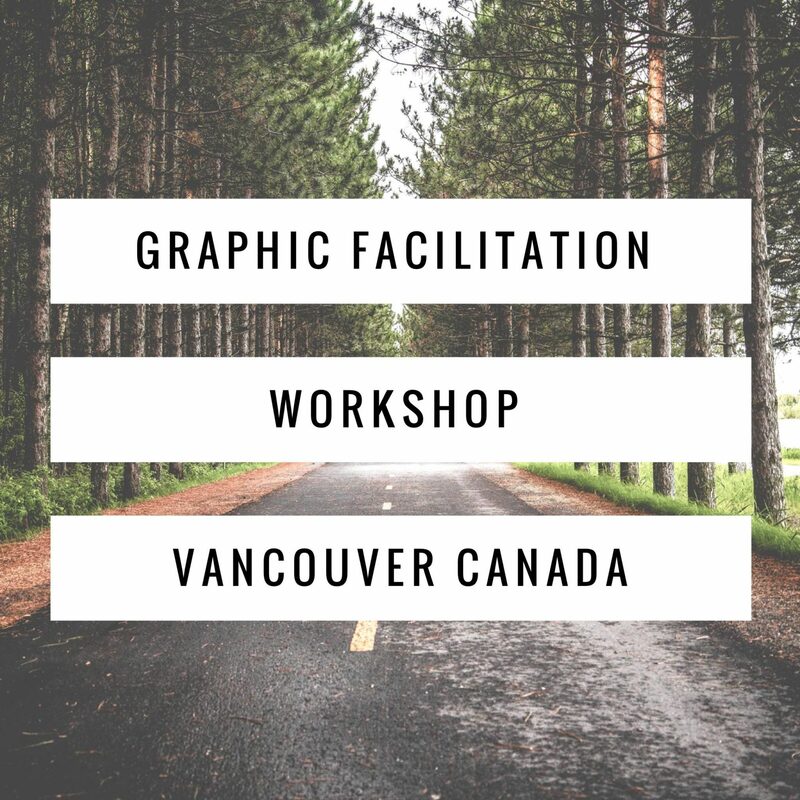 In 2018, workshop participants came from the UK, Japan, the US and across Canada – so great to work with you, fellow visual thinkers! Saturday May 11 and Sunday May 12th 2019 in Vancouver Canada, with an optional third day on the Monday for a smaller group. Saturday October 5th and Sunday October 6th, 2019 in Vancouver Canada. Doors open at 8:30 am, workshop begins at 9:00 am, and ends at 5:00 pm. Stay tuned for detailed logistics. We will take great care of out of town guests. And, don’t forget about the optional social Friday night, from 6:30-8:30pm. Catered lunch, as well as morning and afternoon coffee breaks for both days. Food will be a catered hot lunch. Last year we were treated by Potluck Catering, a social enterprise that creates jobs and provides healthy food for people living in Vancouver’s inner city, and Indigenous catering small biz Big Heart Bannock. *Payment plan options available by request. There are community spaces available, with priority given to self-identified Black, Indigenous, and People of Colour under 30 (ish). We will collect names and then select two people before the workshop, so it’s not first-come-first-served. Community Scholars will receive a full supply kit, and there’s no volunteering expectations. Email hello@drawingchange.com some short information about your facilitation and examples of your drawing skills, along with what organization / movement you’re part of, or what plans you have to share these skills afterwards – and read this note about how to apply here. If you’d like to volunteer, there are four spaces available at each workshop. Please read this note about volunteering, and email hello@drawingchange.com. We will happily refund the cost minus a $300 processing fee. If you wish to receive a refund, please send us a written request by email before midnight one month before the workshop. Please note we are unable to process refunds less than 30 days before the workshop, however, we can transfer your registration fee to another person at no additional cost.